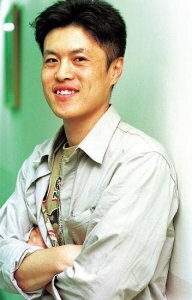 In 1993, he studied filmmaking in the Independent Film Society, and from 1995 to 2000, he made a number of short films in the Independent Film Group "Youth Film". His short films “Sugar Hill” (2000) and “Good Romance” (2001) were invited to various domestic and international film festivals. His latest film was “La Traviata” which was an episode in the omnibus film "The Camellia Project" (2004). [Interview] Son Tae-gyum: My ultimate goal is to live as a film director until death.